WINGS by Wood Belly, 5 piece bluegrass from Boulder, Colorado. At Chestnut House Concerts on Friday, June 29, 2018. Potluck at 6 pm, Music at 7 pm. RSVP with Tim at tlehman9@gmail.com. The Slocan Ramblers performing Dale Evan’s song “Call Me Long Gone” from their cd Coffee Creek. The Slocan Ramblers will be at Chestnut House Concerts on Sunday, April 23, 2017. Potluck at 6 pm; Music at 7 pm. Suggested donation of 15/20 per person at the door, all money goes to the musicians. RSVP with Tim at tlehman9@gmail.com and mention the number of seats to reserve. Chestnut House Concerts welcomes Jordan Tice and Horse County on Sunday, March 5, 2017. 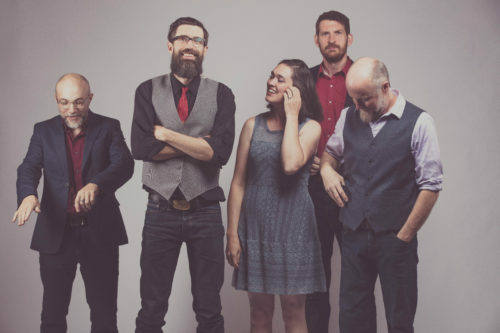 Jordan is a composer, guitarist and vocalist and when he travels he’s joined by Horse County – a pickup band that can be several configurations of a variety of talented artists, depending on whoever is available and able to do the tour. For the show at Chestnut House Concerts, Horse County is Zoe Guigueno and Dominick Leslie. Zoe (formerly of Joy Kills Sorrow) joined the female group Della Mae two years ago playing bass and providing backing vocals. Dominick Leslie is a mandolin virtuoso (of The Brotet, The Deadly Gentlemen, The Grant Gordy Quartet, Noam Pikelny & Friends). Recommended donations are 15/20 per person. There’s a potluck at 6 pm prior to the show; music begins at 7. To RSVP contact Tim Lehman at tlehman9@gmail.com or call/text 717-940-9311.